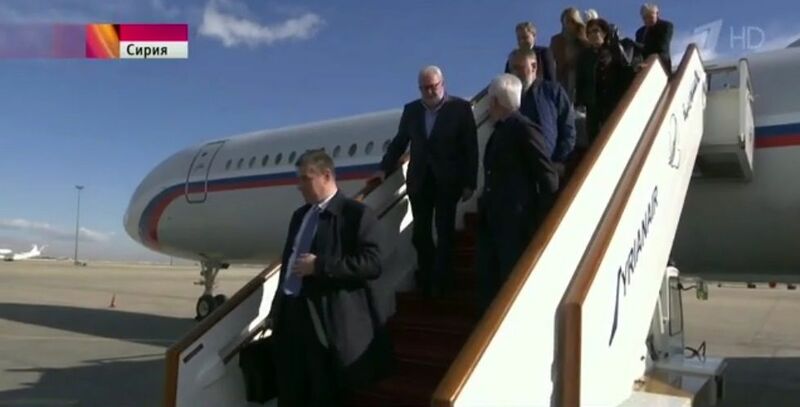 A delegation of deputies of the Parliamentary Assembly of the Council of Europe (PACE) from the Czech Republic, Belgium, Serbia, and Italy and the State Duma of Russia led by PACE President of Pedro Agramunt has arrived in Syria, Channel One Russia has reported. The State Duma deputies are reported to have arranged this visit despite the fact that Russia has been deprived of voting rights in PACE and does not participate in sessions of the European Parliament. Read alsoPACE condemns Russia for terrorist activities in Ukraine - LohvynskyThe report about PACE President Agramunt's visit to Syria together with the Russian Duma members has caused a wave of outrage in Ukraine. Permanent Representative of Ukraine to the Council of Europe Dmytro Kuleba wrote on Facebook that PACE was destroying its credibility by such actions. Ukraine's envoy to the humanitarian subgroup of the Trilateral Contact Group on the Donbas settlement in Minsk, First Deputy Speaker of Ukraine's parliament Iryna Gerashchenko wrote on Facebook that there was no announcement about Agramunt's visit to Syria on the PACE website. "I think the Ukrainian delegation should send a letter to PACE today, demanding clarification of the status of this visit, especially since Russian MPs are not PACE members because the Assembly did not confirm their authority. So, was this a private visit of Agramunt and his Russian comrades? We should receive an official response from PACE," she said. When the Russian parliament endorsed Russian President Vladimir Putin's annexation of Crimea in 2014, PACE stripped it of voting rights. In response, the Duma immediately suspended support for PACE and has demonstratively missed the last two January deadlines to ratify its delegation, leaving its seats empty since 2016.